SAP Financial Supply Chain Management (SAP FSCM) suite of modules and applications provides a solution to improve your AR processes; it provides functionalities for electronic billing, managing billing disputes, collections management and credit risk management. As such, SAP FSCM has compelling benefits to the business through reduction in working capital and managing of bad debt through effective efforts by the AR team for managing customer collections. In this blog, we provide an overview of the SAP Financial Supply Chain Management components of the overall FSCM solution. SAP FSCM provides Treasury and risk management module which is integrated with Financial, Banking, Information System, and Accounting for managing financial transactions and financial risk in the business. SAP FSCM provides Biller Direct module; this is an important capability in web-based invoicing and payments. Through SAP Biller Direct, customers and suppliers can access invoicing and payment information via business portal of the company. SAP FSCM biller direct provides seamless integration with accounting system and lets you handle electronic payment and settlement processes with customers or suppliers. In SAP FSCM, cash management and Liquidity Management is a tool which improves ability to forecast and react to cash and liquidity positions. All components are preconfigured for real-time reporting and analysis of your liquidity position. SAP Collections Management is the module which helps you to improve the productivity of your collections. By making it easy for agents to identify problem accounts or issues, you can greatly increase collection rates. Credit Management in SAP FSCM accelerates the ability of your credit managers to extend or reject customer credit limits. Your credit score system for each customer is greatly improved through the real-time aggregation of your own credit data and information from third-party credit scoring agencies. SAP FSCM provides Dispute Management which gives your accounts receivable or debt department 100% transparency for customer invoicing and billing issues. Open items, credits to customer, and decision making are all visible through a single access point – SAP FSCM Dispute management accelerates invoice settlement and processing customer invoice complaints. Using SAP in-house Cash, you can see net accounts, group cash receipts and payments on a regional basis, and also reduce transaction costs for intercompany payments. 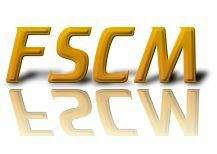 In case you need assistance on SAP FSCM, please contact us. Please send us your questions, comments or assistance request, and our team would be glad to assist you. We offer variety of services including SAP ECC ,SAP HR,SAP BW,SAP CRM, SAP SCM,SAP BPM, Business Objects, SAP ABAP Development, SAP BASIS and SAP NetWeaver consulting. We have expertise in providing implementation,development, SAP Migration and SAP support services to SAP customers across diverse industries at a global level. Please Signup to remain Informed of New Blogs! We look forward to your thoughts - Send us a Message!